This product is classified as ‘very high risk’ in nature due to its location and geopolitical situation of the region. FinFeed advises that extra caution should be taken when deciding whether to engage in this product, however if you are not sure whether it is suitable for you we suggest you seek independent financial advice. 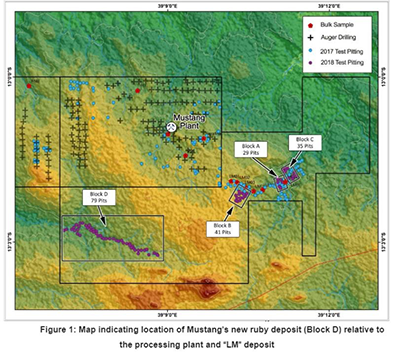 Following the disappointment of its inaugural rough ruby tender results in November last year, Mustang (ASX:MUS) has been hard at work in the first quarter of 2018. The turnaround began with the implementation of a new ruby sales and marketing strategy that led to the implementation of a sales and marketing office in Chanthaburi, Thailand in February this year. This facility is smaller and lower cost than that its previous sales facility in Mauritius and more in line with the company’s emphasis on project and ruby market development and ongoing market research. Since then, MUS has added graphite and vanadium interests to its portfolio as a diversification tool, however rubies still play a major role in this $21 million capped company’s growth strategy. Today, MUS announced the discovery of new ruby-bearing gravels within its Montepuez ruby project in Mozambique, located just 3.5 kilometres directly south-west from its 200tph processing plant. MUS does remain a speculative stock and investors should seek professional financial advice if considering this stock for their portfolio. The discovery comes from the extensive exploration program carried out during the March quarter which resulted in the development of 196 test pits during the period. During the March quarter, MUS recovered a total of 29,069.1 carats from the processing of 43,940m3 (68,107tonnes) of material at Montepuez. 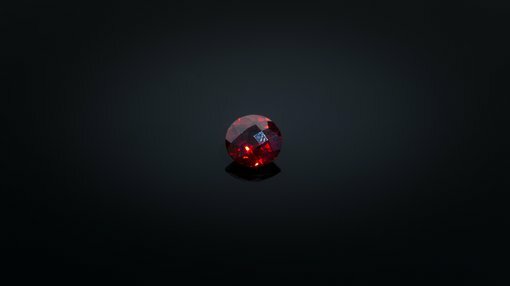 This resulted in an average grade of 0.42carats/tonne for the quarter. Recovery grades were approximately 13.5% higher than Q42017, while tonnes processed were approximately 15% lower due to heavy rains. With the wet season now coming to an end, MUS has begun preparations to restart its exploration bulk sampling program and expects volumes and grades to increase in the coming quarter. As can be seen below, the newly identified Block D will form part of the upcoming bulk sampling program. Mustang remains the only ASX listed ruby stock and revenue generating listed ruby developer in the world. Montepuez runs adjacent to the advanced mining operations of AIM-listed multinational natural resources company Gemfields.